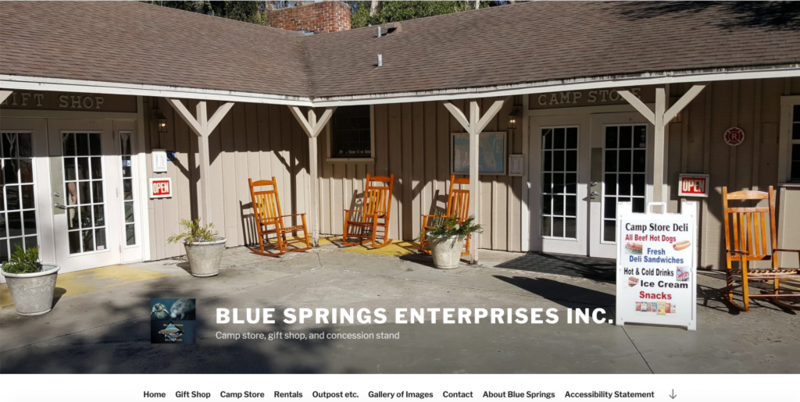 Home › Blue Springs Enterprises Inc.
Blue Springs Enterprises Inc. owns and manages the Camp store, gift shop, and concession stand at Blues Springs state park in Orange City Fl. 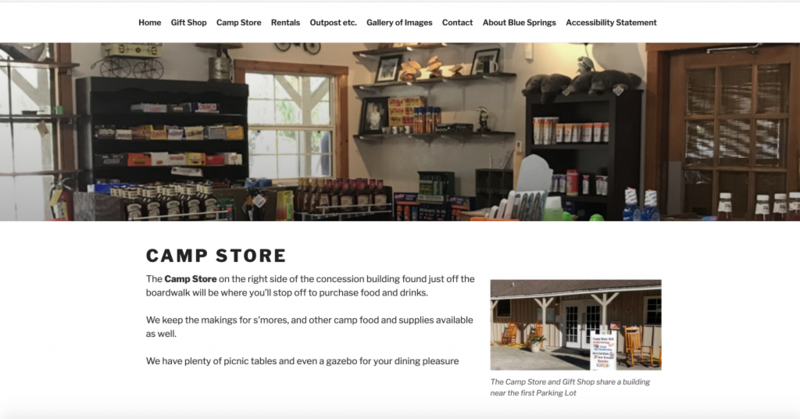 Before I recreated their website in March of 2017, it was a 7 page website which gave some useful information, but didn’t help to grow their business at all. Now the business owners can easily log into their site and edit pages, update prices and anything else needed. 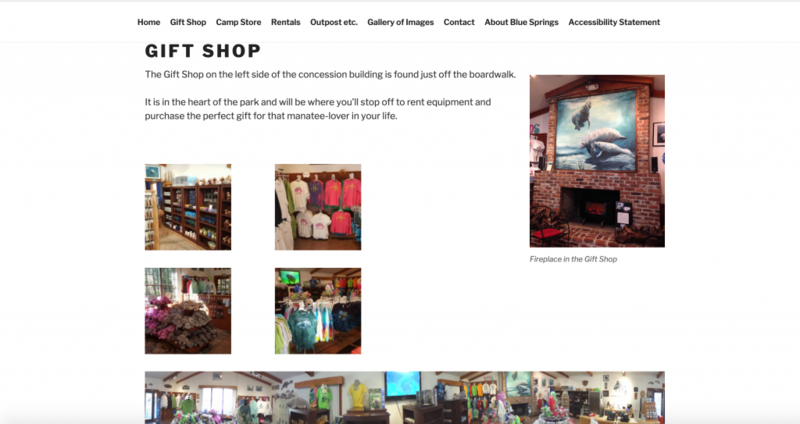 While working on their site, I visited multiple times and took photos to showcase their business. You can visit their website at http://myfloridamanatee.com .